PoP2015: we need hardly remind you!! It’s a really important date! Despite the UK general election being just a few days later, many politicians (local and national) are again coming along, and speakers include new Scottish Transport Minister Derek Mackay MSP. Do take the chance to speak to some of the politicians – there will be places set aside for this at the end of the ride. Check out this list of politicians expected so far – including Spokes members Sarah Boyack MSP, Alison Johnstone MSP and Ian Murray MP. 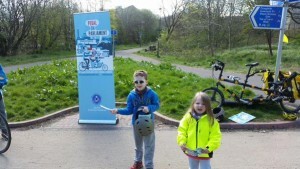 Raise own your concerns with the politicians … or find ideas in our current Bulletin or recent Members’ Action-Update … or point out that the Scottish Government invests just 2% of its transport budget in cycling, unlike Edinburgh’s 8% ! Click here for full details of the 2015 event.